We will choose the most suitable path for building your website depending on some very important factors like your workflow, technical knowledge and your involvement with future content updates. Some other technical aspects like the size and functionality of your website will also be taken into consideration. There are many ways one could create a nice looking website including several you-can-do-it-yourself platforms that make this task quite easy. 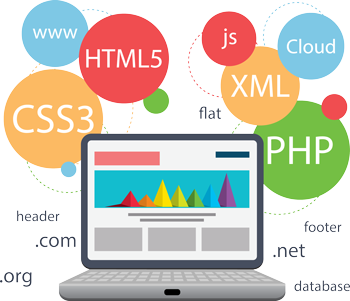 However, as a professional web development agency, we offer two main approaches that allow us to provide custom and flexible solutions for even the most advanced projects. Get involved. Consider this option if you want to handle future content and website updates by yourself, sell products online (e-commerce) or write a blog. Content Management Systems like Wordpress or Joomla are an excellent choice for the majority of website development projects. Besides a solid foundation, almost every CMS offers out-of-the-box backend panel that allows a user to easily manage website settings, install updates and make modifications to the content. However, nothing is bulletproof here and in order to do things properly without the risk of breaking the code, working with Wordpress or Joomla requires sufficient training and basic HTML and CSS knowledge. Another huge advantage of using CMS is the enormous amount of various and truly attractive templates and plugins. They can help speed up the development process esp. when fully custom design is not the first priority. Keep in mind that some high-end Wordpress or Joomla templates made by the most trusted developers may be quite pricey. 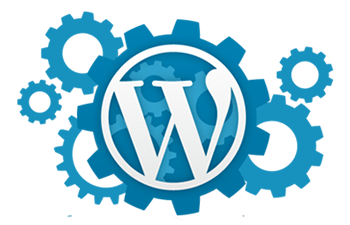 Let us know if you think Wordpress or other CMS is the way you want us to build your website. Let us handle everything. We recommend this option to anybody who wants to have a truly custom and optimized website. There are virtually no limits what we can do with pure code. Besides full customization of both front and back end, this approach offers great flexibility which is important in case your business expands or changes. Another very important advantage of this method of web development is that it allows us to fully optimize the performance of your website. No matter how big it grows over time and how many cool features it has we will make sure it loads super fast in any modern browser across the entire web. Do you want to take adventage of our fully custom website development process?